After months of coercion, threats, and highly inappropriate late night texts (seriously, Wade, how can you really expect anyone to physically be able to do that with a duck!? 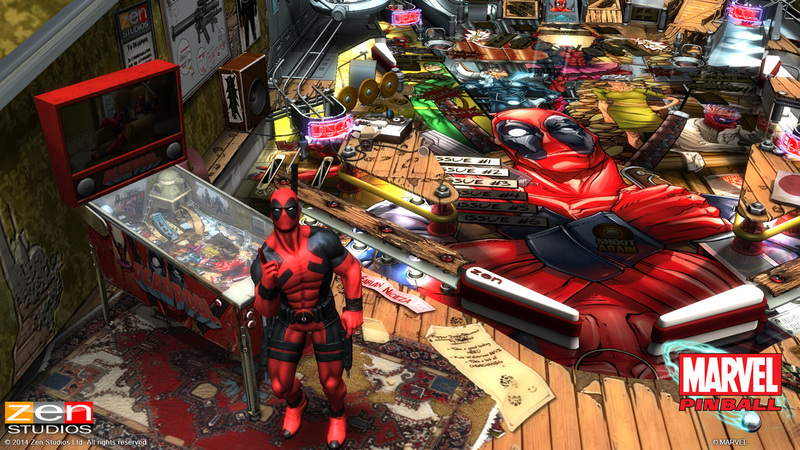 ), Zen Studios have agreed to create a virtual pinball table for the one and only Merc with a Mouth, Deadpool. Coming to Zen Studios pinball platforms on console, mobile and PC, the table will offer exciting pinball action, true-to-the-character gameplay, and may actually afford the team at Zen some peace and quiet when it releases. 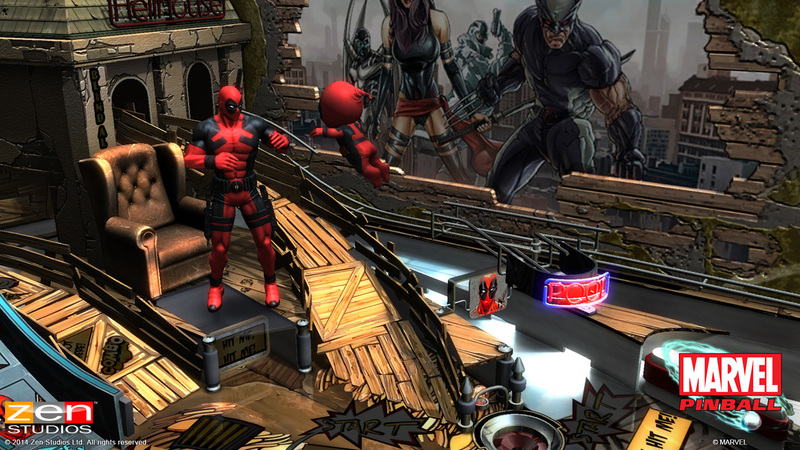 In all seriousness (well, some seriousness, at least), Zen Studios is extremely excited to be working with the fine folks at Marvel to bring Deadpool fans a pinball experience that is as true to the character as you can get. 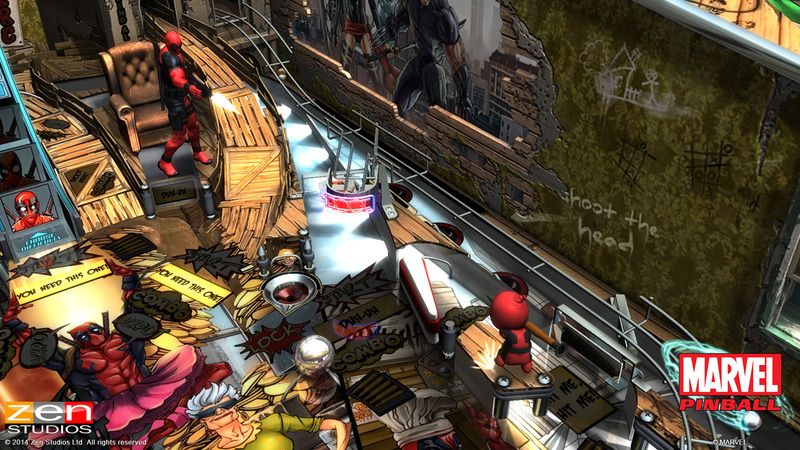 Featuring the supreme voice talents of the one and only Nolan North as Deadpool, this table will capture the acerbic, fourth wall-crushing attitude of the character as well as feature supporting characters from the Deadpool universe, including Blind Al, Weasel, Lil’ Deadpool, and other characters from Deadpool’s universe. Please humor the Merc with a Mouth by watching the trailer below, will ya? 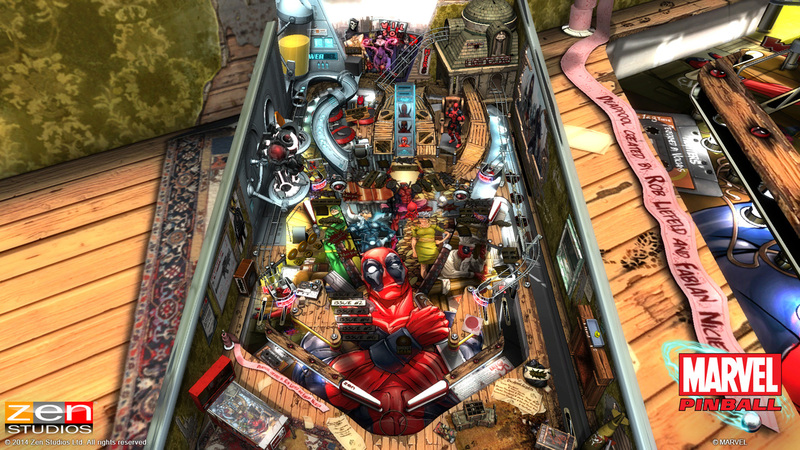 Deadpool’s pinball debut features a dynamic table that will switch at his whim, quick-time events, a “Blind Mode” courtesy of Blind Al in which only the ball, flippers and target lanes are visible, and even a mode where the player can help Deadpool take down some of his most nefarious enemies: raging comic book fans! Dust off your dancing shoes and synchronize your watches, because it’s about to go down! WHOA… something I didn’t see coming! Way to go Zen Studios! This looks awesome! Thank you Zen for listening to your fans! Well guess I wont be buying this. Another item not developed for the Wii U. 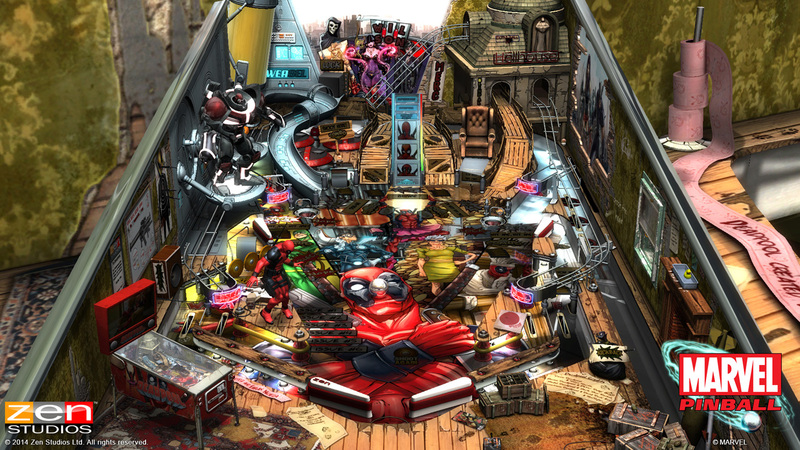 So, is Marvel Pinball dead as a franchise now for PS3? It all goes under Zen Pinball now? Great news, but i’ll wait for the Wi U version like all your tables. Wow talk about a stealth release date announcement… cant wait for this and awesome that Nolan North is doing Deadpool VA. I read the whole thing just to be let down yet again about your lack of love for the WiiU! As the leader (Hyna) of the Hyna Gang on Miiverse who runs worldwide zen pinball tournaments, let me speak on all of their behalf that we are disappointed like always! Thanks once again. Like always no wii u version. I bought the table for PS3, but when I select “Import tables” on PS4 it says “No tables to import”. I can run the demo on PS4, but it doesn’t recognize I bought the table on PS3. Do I have to do anything special? Try going to Settings > PSN > Restore Licenses and that should unlock it. Let me know if that doesn’t work! It’s not technically cross buy – but you can import from PS3 or Vita to PS4. Sorry for the confusion.